Setting the standard of quality for two generations. Grobler Construction was found by Father and Son, Willem and Pieter Grobler. We are a family owned company offering cost effective ways to restore, extend or construct your property with high standard. With over 40 years’ experience in the building industry, we have been setting the standard of quality for two generations. Grobler Construction is a dependable and valued company in the building industry. We have established Grobler Construction thus far through relationships with a network of Contractors, Architects and satisfied clients. Grobler Construction is based in Somerset West, servicing the greater Helderberg including Somerset West, Gordons Bay, Stellenbosch and Strand. We specialise in construction of residential homes, restorations, paint work, extensions and Project Management. 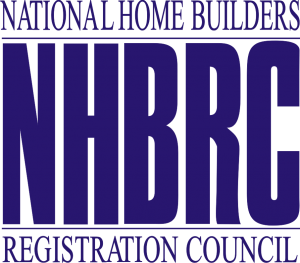 Emphasising Grobler Constructions excellent track record being registered with the National Home Builders Registration Council (NHBRC), a council that is protecting housing consumers and monitoring the home building industry, certifying all sites are compliant with the Consumer Protection Measures Act. We take pride in our standard. Equally important, all our projects include an accurate quote, clear timelines, thorough preparation and protection of all surfaces, quality workmanship. We at Grobler Construction offer our clients competitive rates with remarkable service and standard, together with several years of experience in the construction business, we ensure you of excellent workmanship and attention to detail, from pre-construction to completion. We combine our years of experience with strategies, creativeness, planning and execution of projects, in order to achieve client satisfaction. Our aim is to improve the competitiveness through the sharing of knowledge and the application of best practice to enable us to meet all challenges. Our main goal is to build your trust and form a lasting relationship. Providing excellent client service with honesty and integrity. We strive for excellence in everything we do, therefore we have a skilled and properly managed team committed to becoming the contractors of choice.